• Agate: A grounding stone, agate helps to balance the emotional, physical and intellectual self. It builds both self-awareness and self-confidence, raising consciousness about the oneness of life and enabling one to speak their own truth. • African Jade (Emerald Quartz): With a vibrant green color, African Jade is strongly associated with the heart chakra and is believed to help open this energy center. Despite its name, this stone is a member of the quartz family and thus promotes balance. It is especially helpful when one is faced with difficult situations, providing mental clarity so that one can distinguish their priorities and delegate effectively. • African Turquoise: The “stone of evolution”, African turquoise fosters growth, development and positive change. By opening the mind to fresh thoughts, African Turquoise enables one to discover new possibilities while maintaining structure and balance. Named for its turquoise hue, this stone is actually a variety of African jasper. • Amazonite: Owing to its powerful filtering action, amazonite promotes clarity by dispelling negative energy, aggravation, and blockages within the nervous system. This soothing stone also supports universal love by encouraging empathy and balancing masculine and feminine energies. • Ammonites are excellent index fossils, and it is often possible to link the rock layer in which a particular species or genus is found to specific geological time periods. Their fossil shells usually take the form of planispirals, although there were some helically spiraled and nonspiraled forms (known as heteromorphs). • Alabaster is a "drawing" stone meaning it has the ability to draw things to you or to draw things away from you, depending on what your needs are. It works wonderfully for drawing things of the Spirit to you, White alabaster summons the spiritual. Because alabaster is so soft, it does best with a sun's cleansing. It can also draw forgiveness, whether it be you that needs self forgiveness or the ability to forgive someone that has done you wrong. It also draws energy from other stones as well, meaning you can "soak" up the energy of one stone and have the properties of both stones with you while only carrying the alabaster. It helps to draw anger out of a person and to release it. • Amethyst: A powerful and protective stone, amethyst guards one from all forms of negative energy. With strong healing and cleansing properties, this stone also calms and stimulates the mind to provide mental focus, emotional centering & spiritual awareness. • Apatite: A stone of inspiration, apatite is thought to increase motivation, stimulate creativity & promote the accumulation of knowledge. Apatite helps to reduce irritability and frustration by promoting balance between the physical, mental, emotional & spiritual bodies. • Aquamarine is metaphysically known as a stone of courage and fortitude that can bring great power. It is said to assist with quick intellectual response. It brings inner peace, hope and self-love, gives shielding for the aura, and is said to bring angels for their guidance and protection. As such, it is an excellent crystal for meditaiton. Aquamarine is used metaphysically to dispel anger and fear. Aquamarine is also used psychically to do past life recall and work. It is also said to be a wonderful good luck stone. Aquamarine is reputed to assist with calming communication issues. It is said to be attuned to the sea and protect travelers on water and sailors. • Aventurine: A positive stone, aventurine promotes compassion and empathy, as well as the ability to gain a deeper understanding into a situation or circumstance. Wear this stone to help connect your intellectual and emotional self, or to help recover from emotional distress. Aventurine also reinforces leadership and decisive qualities. • Calcite: Known as the premier cleanser of negative energies, calcite is a powerful stone for grounding and centering. It is also an amplifying stone, opening one to a life of creativity and prosperity. • Carnelian: A grounding and stabilizing stone, carnelian encourages steadfastness and helps one stay in the present moment. Additionally, this stone promotes vitality and creativity. Mentally, it is known to sharpen analytic abilities and promote focus. Physically, carnelian can stimulate metabolism, increase the absorption of vitamins & minerals and improve fertility. • Chalcedony: A harmonizing stone, chalcedony alleviates hostility by instilling feelings of benevolence and generosity. Additionally, this stone eases self-doubt by dissolving negative thoughts and encouraging openness. • Citrine: A clarifying stone, citrine promotes clarity of thought and opens the mind to new ideas. This yellow stone can also protect one from negative energy, thus increasing self-esteem. • Coral: A stone of resolution, coral quiets the emotions and brings peace to the self while accelerating the transfer of knowledge to others. Stimulating intuition, corals bring one into harmony with both their community and the natural world. •Chrysocolla is a stone of empowerment of the feminine energies, teaching that genuine power is best expressed through gentleness. It is a stone of the Goddess, and those who resonate with it will likely feel her ancient and enduring energies rising within themselves. • Crinoids, or Sea Lilies, are an aquatic animal that resemble a flower growing on a thick stem. The crinoids attach themselves to the bottom of the sea floor or a rock or a piece of wood with the root-like holdfast. Crinoids are echinoderms, with the flower part being the arms that filter plankton from the water to catch its food. Almost all varieties of crinoids have been extinct since the end of the Triassic period, but a few species exist to this day. In fact, the fossil record shows Crinoids extending back as far as 480 million years ago. Fossils (from Latin fossus, literally ”having been dug up”) are the mineralized or otherwise preserved remains or traces of animals, plants, and other organisms. In ancient times they were believed to be a gift from the stars and were revered by many cultures. Because of their age they have been used throughout the centuries as a talisman for protection and long life. • Hematite is used to bring mental organization and is very grounding and calming. It can help with original thinking, logical thinking, and mathematics, any type of thinking which requires significant mental organization. Emotionally, hematite decreases negativity. This lowering of negativity can benifit by helping balance the body/mind/spirit connection. It also is said to balance the meridiians, boost self-esteen, and self-confidence. • Howlite: An exceptionally calming stone, howlite can help one overcome anger and develop patience. As it aids in tranquility, this stone is especially helpful for sleep and meditation. Howlite is also beneficial for motivating one to learn and aids in improving memory. • Jade: A protective stone, jade promotes purity, serenity and harmony. It helps one to improve their self-image by encouraging self-sufficiency and dismissing negative thoughts. A stone of abundance, jade promotes good luck while fostering new ideas and strengthening friendships. • Jasper: Oftentimes called the “supreme nurturer”, jasper promotes qualities that help to both nurture the self and others. With its ability to align the chakras, this stone provides support during stressful periods and promotes tranquility. In addition, jasper provides protection and balance while instilling courage and honesty. •Kyanite is a stone of channeling, altered states, vivid dreams, dream recall, and visualizations. It gives protection during these states. It brings loyalty, honesty and tranquility, and diminishes anger and confusion. Kyanite does not retain negative energy and never needs energetic cleansing. It does align and balance all chakras, often very suddenly. Kyanite can remove energy blockages. • Lapis: A tremendously peaceful and protective stone, lapis encourages serenity and helps to release stress. It promotes enlightenment and greater self-awareness, fostering honesty, compassion and self-expression. Bearing the bright blue color of the throat chakra, this stone inspires confidence and assists one in speaking their truth. • Lava Rock: A stone of strength and clarity, lava rock provides guidance when one is faced with difficult situations. This porous stone is also exceptionally grounding, reducing stress during times of change or transition. Furthermore, it can help to strengthen one’s connection with the natural world. • Lilac Stone: With soothing and calming properties, lilac stone is helpful in relieving anxiety and depression, especially during times of grief or deep emotional suffering. Its strong positive energy prompts the occurrence of coincidence or synchronicity. •White Moonstone carries the energy of the new moon at the height of its power, stimulating psychic perception, vision and dream work. It can magnify one's emotions, activating the kundalini energy in women and emotional balance in men, and is supportive in children to drive away nightmares or insomnia. • Obsidian: A strongly protective and truth enhancing stone, obsidian is known for its ability to shield one from negative energy. It assists one is dissolving emotion blockages, bringing clarity to the mind and drawing out mental stress or tension. By clearing confusion, obsidian helps one to connect with their true self, fostering qualities of compassion and strength. • Onyx: Imparting great strength to its wearer, onyx is an especially useful stone in difficult situations. It has the ability to center energy, improving self-confidence and helping one be at ease with their surroundings. A stone of steadfastness, onyx promotes self-control as well as stamina and vigor. • Opal: Strongly associated with feelings of love and passion, opal amplifies one’s emotional desires while inspiring creativity and originality. Opal encourages one to release negative emotions and replace them with positive ones, thus strengthening relationships and promoting loyalty. •Periodot is associated with the heart chakra, and can be used to balance and stimulate that chakra. It is a stone of compassion. It has a friendly energy and is excellent for healing. It assists in rebirth and renewal of all kinds. Peridot also bring abundance and prosperity. It enhances the healing and harmony of relationships of all kinds, but particularly marriage. Peridot is used in crystal healing to lessen stress, especially in relationships, anger and jealousy, slow aging, and heal ulcers and digestive problems. It also assists in finding what is lost, and strengthens ESP abilities. It has been said to make a shield of protection around the body of any wearer of peridot. • Pietersite: As a stone that carries a charge, pietersite can stimulate one’s energy field, allowing one to let go of unwanted habits and create positive change. It is associated with the third eye chakra and the solar plexus, helping to strengthen intuition and will power. • Pyrite: Also known as the stone of health, Pyrite contains both fire and earth energies, helping one to balance the root chakra. It is said to protect one both emotionally and physically, and helps to boost self-confidence. It is a wonderful stone for use in meditation as it is said to remove negativity, helping one to concentrate. Pyrite also increases stamina, stimulates the mind, and can help to ease depression symptoms. • Quartz Crystal: Though it is one of earth’s most common minerals, quartz is an incredibly powerful and versatile healing stone. A clarifying stone, quartz amplifies the energy of all other stones and increases one’s emotional energy. 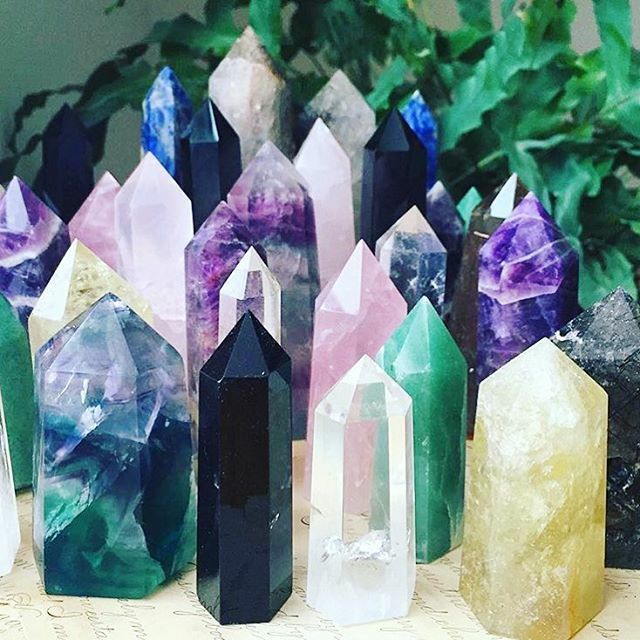 It helps one connect with their spiritual side, amplifying prayers and positive visualizations while opening one to higher guidance. • Rhodonite: A balancing stone, rhodonite calms the mind by both grounding one’s energy and steadying one’s emotions. It helps to clear emotional wounds, allowing one to recognize self-destructive patterns and reach a more peaceful balance. With its profound calming abilities, rhodonite often used to enhance meditation. • Riverstone: An incredibly energizing stone, riverstone accelerates change and promotes resolution. It provides one with the mental clarity to see all aspects of a decision as well as the energy to quickly settle difficult situations. • Rose Quartz: With its ability to open and purify the heart, rose quartz is the most powerful stone for attracting love and peace. Working from the inside out, it has profound calming abilities, promoting acceptance and love of one’s self. Furthermore, rose quartz helps one to both give and receive love, allowing one to perceive beauty of all kinds. • Ruby in Fuchsite is said in crystal healing to be helpful with ailments where body functions are out of balance, carpal tunnel syndrome, blood and spleen issues, and virility. Ruby in Fuchsite is also said to be helpful when used in groups of multiple stones for crystal healing to amplify the healing energies of the stones. • Ruby Zoisite: Resulting from the formation of red ruby within green zoisite, this aggregate stone helps one to maintain individuality while strengthening connection with others. Promoting growth and advancement, Ruby Zoisite transforms negative energy into positive and boosts both mental and physical stamina. •Selenite is a stone of mental clarity. This clarity enhances mental flexibility and enables strong decision making abilities. It can affect every day life as full mental clarity into play to lesson confusion and mental disorientation. • Smoky Quartz: An incredibly grounding stone, smoky quartz promotes a strong connection to the environment. As with other forms of quartz, the smoky variety also has protective and cleansing properties. It brings physical and psychic protection while aiding in the release of negative energies. As a result, it promotes positive thought by relieving stress and anger. • Sodalite: Bringing harmony and calmness to the mind, sodalite encourages rational thought, objectivity and truth. It is especially helpful during meditation, enhancing one’s spiritual perception and intuition. Sodalite is also provides emotional balance, calming anxiety and enhancing self-acceptance. • Tiger Eye: An incredibly powerful stone, tiger eye promotes passion while increasing courage and physical strength. It is said to attract wealth, good luck and positive thought. •Tourmaline is a powerful grounding stone, electrical in nature, providing a connection between Earth and the human spirit. Its supportive energy aligns the energy centers of the body and channels healing light throughout the system. It promotes a sense of power and self-confidence, allowing for a clearer, more objective view of the world. It is empowering to those who must live or work in challenging environments or when facing difficult circumstances. • Turquoise: A stone of healing, turquoise provides protection and promotes purification by releasing negative energy. This stone also promotes communication between the spiritual and physical, fostering a sense of inner tranquility by aligning all of the chakras. The chakras are the seven main energy centers of the body, each one relating to the others. • Crown: Violet is the color of the crown chakra, relating to self-knowledge and spiritual awareness. Wear the crown chakra symbol as a reminder to seek and share your beauty, creativity, and inspiration. • Third Eye: Indigo is the color of the third eye chakra, relating to self-responsibility. Wear the third eye chakra symbol as a reminder to seek and share your intuition, understanding, and own mysticism. • Throat: Blue is the color of the throat chakra, relating to spirit and self-expression. Wear the throat chakra symbol as a reminder to seek and share your knowledge, health, and decisiveness. • Heart: Green is the color of the heart chakra, relating to love for yourself and others. Wear the heart chakra symbol as a reminder to seek and share your own balance, love, and self-control. • Solar Plexus: Yellow is the color of the solar plexus chakra, relating to our perception of self-worth. Wear the solar plexus chakra symbol as a reminder to seek and share your own wisdom, creativity, clarity, and interest. • Sacral: Orange is the color of the sacral chakra, relating to self-respect. Wear the sacral chakra symbol as a reminder to seek and share your happiness, confidence, and resourcefulness. • Root: Red is the color of the root chakra, relating to self-awareness. Wear the root chakra symbol as a reminder to seek and share your honesty, vitality, courage, and self-confidence. • Hamsa: The symbol Hamsa, is also known as the Hand of God, or Hand of Fatima. No matter how it is named, the hand is a symbol of protection, bringing its wearer happiness, luck, health, peace and prosperity. • Feather: Feathers represent flight and freedom, soaring above, looking from a higher perspective, and moving beyond boundaries and limitations. • Lotus: Growing out of the depths of muddy water into a beautiful, pristine flower, the lotus is a symbol of our own human experience. We travel through life, at times through experiences of challenge and darkness. When we get through them, we arrive on the other side, stronger, wiser, and with a beautiful fresh perspective. • OM: The Sanskrit symbol OM, represents the Absolute. Actually pronounced (and sometimes spelled) A-U-M, OM symbolizes the vibration that all living beings share, embodying the idea that we are all interconnected. • Tree of Life: The tree of life is a symbol of the fullness and abundance of life. As its canopy stretches up towards the sky and space, its roots ground down into the earth, and it’s branches reach out to interconnect with all other living beings. The tree symbolizes love, strength, wisdom, rebirth, friendship, and encouragement. •Namaste (nah-məs-tay), sometimes spoken as Namaskar, Namaskaram or Vanakkam, is a respectful form of greeting in Hindu custom, found on the Indian Subcontinent and among the Indian diaspora. It is used both for salutation and valediction. In Hinduism it means "I bow to the divine in you"